Weekly shows every Tuesday – since 2013! Your Apple consultancy can sponsor the show! -New iMac computers have been released. While it is a welcome update, the group discusses the difficulties of dealing with refreshes when recently purchasing “new” hardware for clients. -Jerry laments the release of new products with rotational drives. The crew agrees. -New AirPods have been released and Jerry already has them on order. Joe’s history with his AirPods comes back up. -Friend of the show, Brandon Walter of Macfaqulty, has a PSA about adhesive strips purchased from eBay. He provides our show with photo evidence sent from his client. -This reminds Jerry of trouble working remotely while on a trip. He also clears up some confusion for Joe about Tripmode and its country of origin. -Circling back to Joe’s nomadic life, he describes the joys and frustrations working in various coffee shops and establishments. But while it is his mobile office, he observed a fellow tech using it as his hardware workbench. -Jerry mentions Merlin Mann and Dan Benjamin's show, Back To Workon the 5by5 network, and we try our take on their "Odds and Sods" concept. -This same client has a debacle with an Aura drive and an experience where the Apple Store wiped the customer data! -In our “I should have known this” segment, Joe realizes while attempting to do a backup that he cannot backup using Time Machine to an APFS volume. He also finds that he cannot encrypt a Time Machine destination after completing an initial backup. -Jerry has some follow up from the 10,000 Songs on Four Wheels Show and using the “Fuzzy Slipper Method”, coined by Jerry himself. He talks about needing WAN access when setting up a network for a customer in your office. -To start the new year, we are very pleased to be joined on our first live show of 2018 by Weldon Dodd of Rewind Technology in Denver, CO. Weldon hangs with the crew as another host in case Sam goes missing again. -Joe discusses the first zero day exploit of 2018, actually launched via tweet on New Year's Eve. Check out the IOHIDeous narrative on GitHub, kind of interesting! The vulnerability exists in a process called IOHIDUserClient which the macOS limits to having only a single instance at any given time, which happens to be spawned by WindowServer. So in order to exploit the vulnerability, we need to kill the WindowServer process. But terminating it requires admin privileges and essentially reboots the GUI, so this is not a viable mode of exploitation. But it turns out that by logging out the user, WindowServer releases its IOHIDUserClient temporarily, giving the exploit enough time to spawn its own instance of IOHIDUserClient and leverage it to compromise the system. The exploit can use "launchctl reboot logout" which does not display a warning dialog. The exploit can also use an AppleScript command to send loginwindow an event called "AppleEventReallyLogOut" (osascript -e 'tell application "loginwindow" to «event aevtrlgo»'), and loginwindow apparently doesn't care who sent the event, but it does display a dialog box as if the user selected "Log Out" from the Apple menu. -Weldon shares his story of a Promise RAID gone wrong. Friends don't let clients pull drives out of RAID drive bays. It also leads to a further discussion about how to handle RAID solutions and future expansion. -Sam discusses a Wi-Fi upgrade in NYC and replaced aging equipment with Ubiquiti Unifi. He also has some advice on utilizing a Cloud Key. -He also mentions a handy workaround to test network settings remotely while still needing to reconnect to the remote computer. Joe recalls a similar solution for another problem. Thanks as always to our Patreon sponsors! Listen to the outtakes and learn the origin of this picture! We're sponsored this week by Watchman Monitoring, a favorite tool of ours that should be in every professional consultant's toolkit. Visit WatchmanMonitoring.com/cmdctrlpwr and sign up for your free trial to find out how Watchman Monitoring can keep an eye on your client machines and notify you of over 100 issues. Be sure to tweet @cmdctrlpwr #CCPsentme to support the show! Joe talks about slow systems that have not been upgraded. Joe offers a PSA: it's not possible to create an iCloud.com email address beginning with a number, but the Mac doesn't specify the error when it fails for this reason. Thankfully, the error message was specified on the iPhone. Also, there's a limit of three iCloud accounts created per device from a Mac, iPhone, or iPad. Joe talks about building a Frankenstein MacBook Pro that needed the firmware password reset. Mac EFI Reset Tool to the rescue! Jerry mentions delaminating screens and Staingate. Joe mentions yet another PSA about it being impossible to turn off two-factor on some Apple IDs created in iOS 10.3 or macOS 10.12.4. Sam talks about a VMWare Fusion issue, resolved by turning off the floppy drive... in 2017?! We compare the movie Inception to connecting remotely into a Mac running a virtual machine. Sam follows up about logging into any standard user from the login window by using the admin account. We discuss client confusion when setting up Touch ID. Locating the Touch ID sensor behind the screen (a possibility recently discussed on Accidental Tech Podcast) might make this much more clear for clients. Sam discusses feeling like one of his clients – sitting with his Mac in front of the TV, his Mac became haunted... tune in to find out how he exorcised the daemons. Joe wonders what listeners are recommending for antivirus. Joe discusses issues he's seen with malware such as Linky Search changing the homepage in Safari and making it difficult to change or reset. Jerry and Joe discuss the remote power switch capabilities of WattBox and the OvrC app. Thanks to listener Ryan Grimes for the great recommendation! 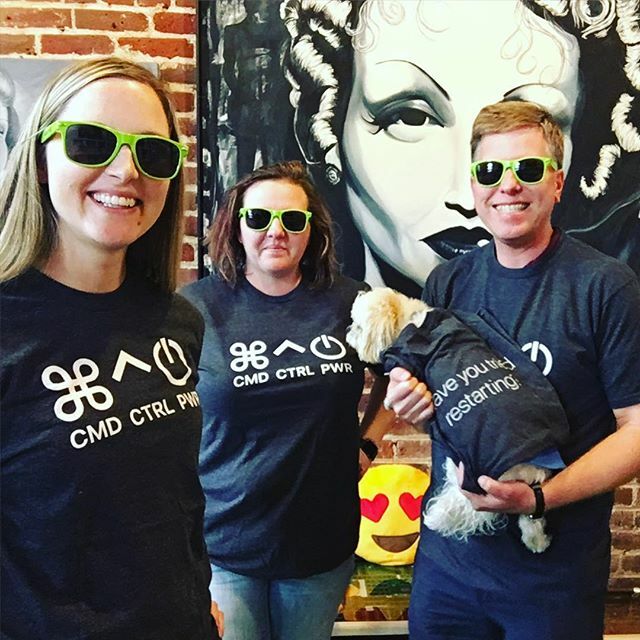 Cmd-Ctrl-pwr is a weekly podcast hosted by three certified members of the Apple Consultants Network (ACN), drawing from nearly half a century of combined experience operating technology consulting practices. Join your hosts Joe Saponare of PsiMac, Sam Valencia of HCS Technology Group, and Jerry Zigmont of MacWorks as we discuss Apple, Mac, iPhone, iPad, Server, other hardware and software, best practices, business operations, clients, rates, managed services, mobile device management, troubleshooting, and more. We also feature regular interviews with vendors and esteemed ACN colleagues. Thanks so much to our Patreon supporters. We couldn't do it without the support of the community! 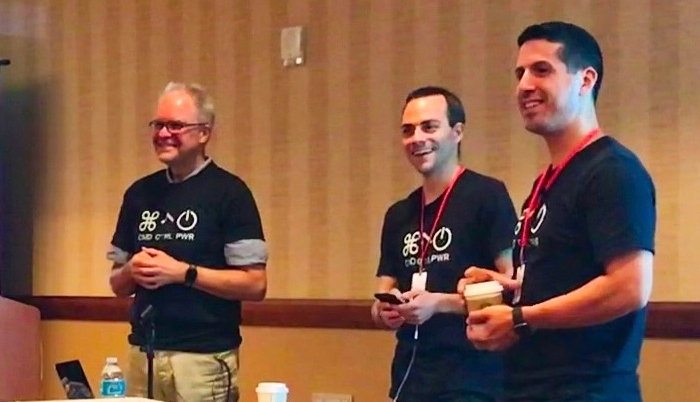 Command-Control-Power is a weekly podcast hosted by three certified members of the Apple Consultants Network (ACN), drawing from nearly half a century of combined experience operating technology consulting practices. Hosts: Joe Saponare of PsiMac, Sam Valencia of HCS Technology Group, and Jerry Zigmont of MacWorks. Topics: Apple, Mac, iPhone, iPad, Server, hardware, software, best practices, clients, rates, managed services, mobile device management, business operation, troubleshooting, and more.